The favorite Christmas gifts I’ve ever been given? Those that I’ve kept for years after opening. A pair of gold earrings, a set of dinnerware for my first apartment, and, over the years, photos from my favorite people. I have a photo from my sister and I in Seaside sitting on my living room coffee table, a snapshot of my parents and I in front of Notre Dame in Paris, and above my couch? A gallery of twelve of my favorite memories hanging in rows, just to name a few! 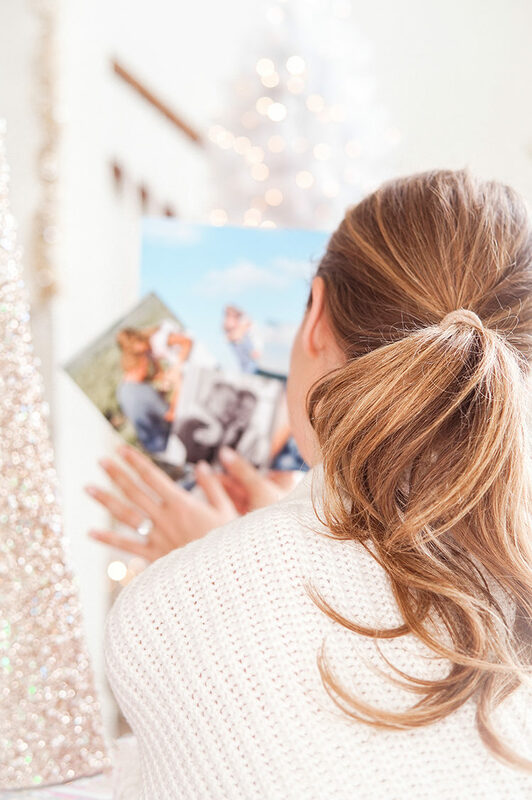 Photos are some of the most precious and meaningful things I own, and when it comes to giving a gift that is thoughtful, personal and timeless, they’re my go-to. Turns out, on top of all of this, they are also incredibly affordable thanks to Walmart! 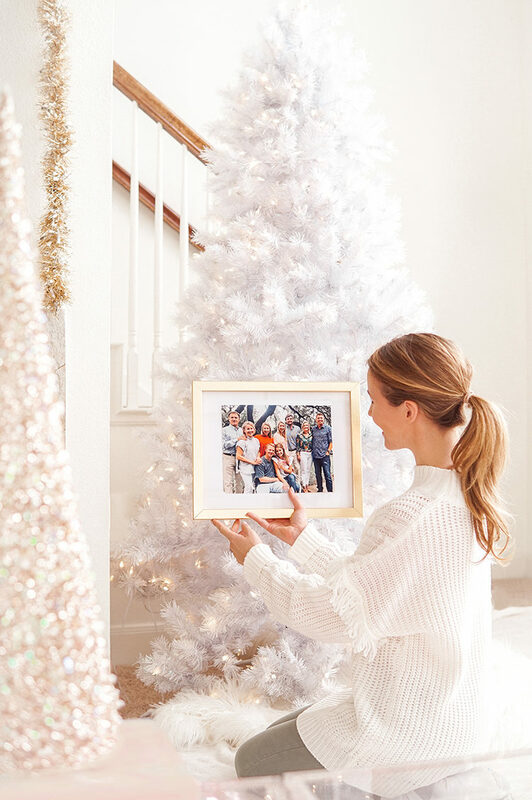 Today, I’m so excited to be partnering with Walmart Photo in sharing how their prints make beautiful gifts for everyone on your list, and how they have turned iPhone images of my favorite day into pieces I’ll cherish forever! This Christmas, I have quite a bit to celebrate because for the first time ever, it involves celebrating with two families instead of one! The year of 2018 has been the most joy-filled and exciting year of my life all thanks to a perfect Sunday morning in September (and, I suppose, the guy who planned it :), and the day I got engaged was my happiest yet! Let’s be real… I’d be lying if I said I didn’t flip through all of the photos on my phone from time to time. (And by “from time to time” I definitely do not mean daily. Who’d do that?!) So for Christmas this year, I wanted to finally get these photos off of my phone and into beautiful frames that can be enjoyed for years to come! 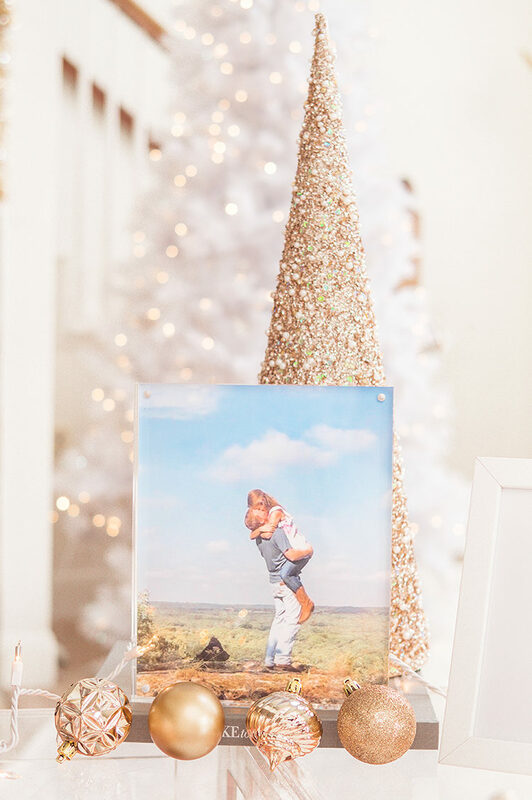 And to make this happen, I took advantage of Walmart’s 1-hour prints to bring my favorite snapshots from this day to life. 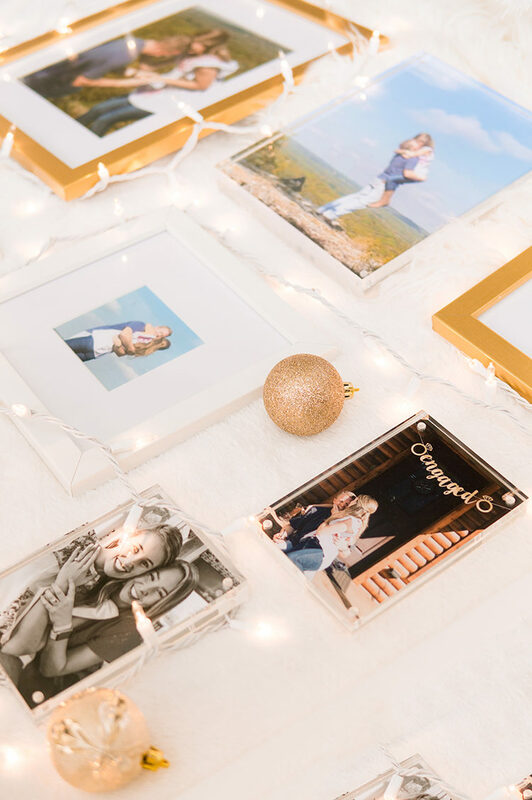 If you don’t already, you’ll love how easy the process is of ordering photos through Walmart is! 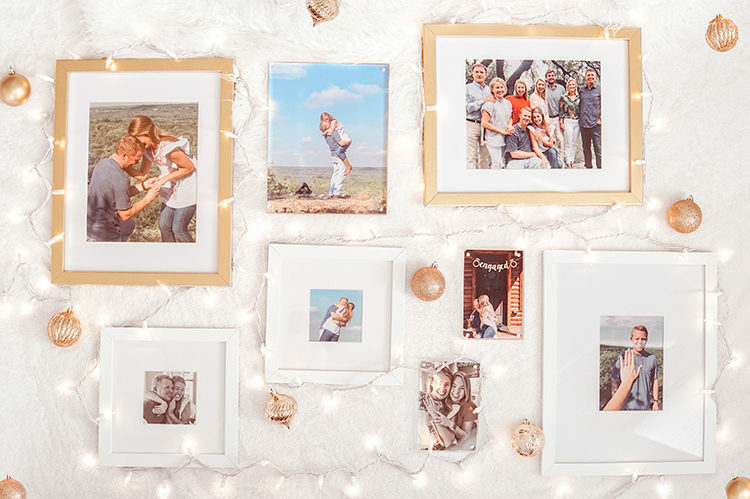 Simply upload your favorite photos, choose what dimension you’d like (did you know you can even get square photos printed in 1 hour?) and choose to pay either online or when you pick up. 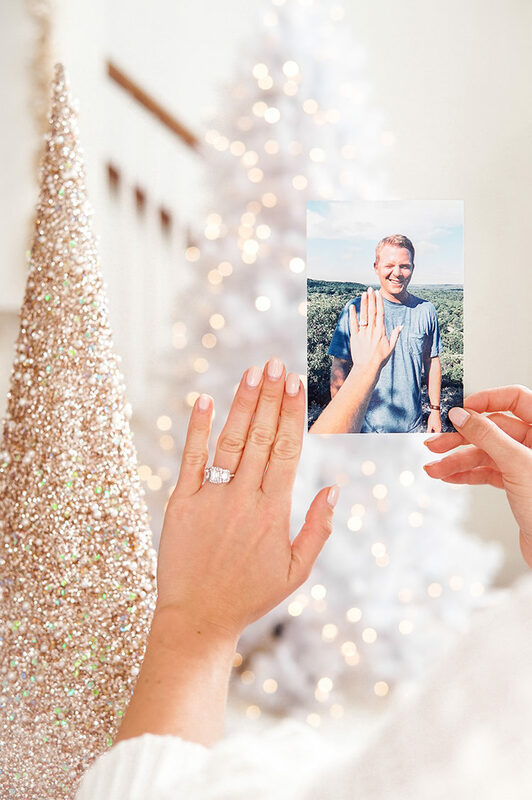 Since the prices are so incredible (a 4×6 is $0.09, y’all) I was able to order a huge assortment of photos from our engagement in all different dimensions to mix and match into my favorite frames. Let me just tell you, they all came out beautifully! Plus, many of the sizes are available 1 hour after your order. Talk about convenience! Speaking of frames, I also found a few gorgeous pieces in which to house the different photos. 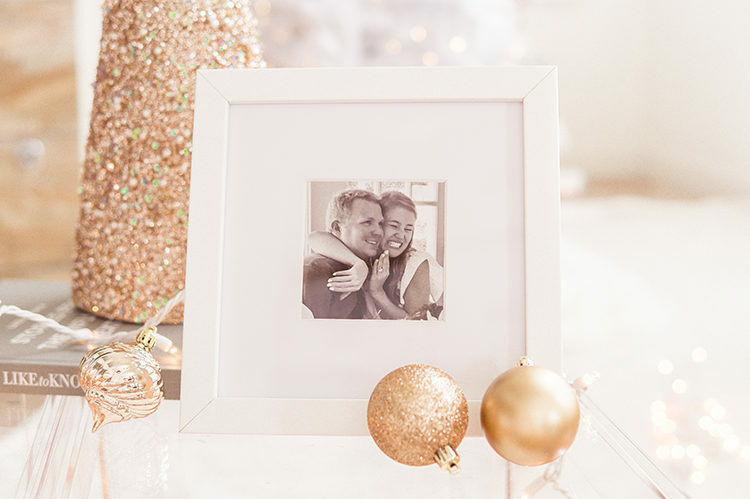 This acrylic frame (available in 4×6, 5×7 and 8×10) is timeless, minimal and looks beautiful in any setting. Since I simply love the look of a matted square image, this frame was a no-brainer. I also bought a couple of these classic gold frames for some larger shots! I was thrilled with the end result. 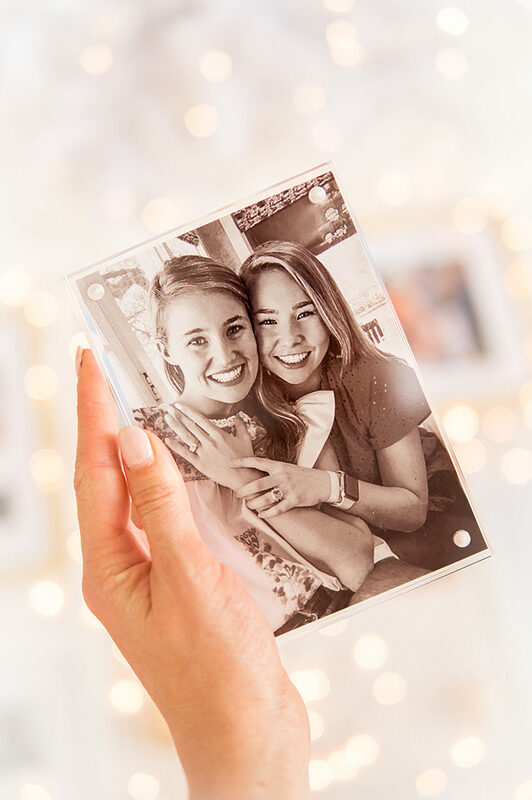 It’s amazing how the combination of a special memory and a lovely frame can create a memento you’ll never want to get rid of! 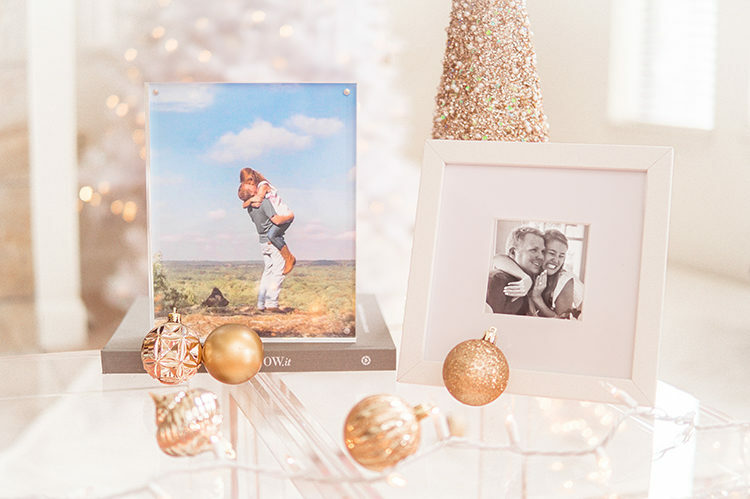 And I’m so excited to gift many of the images you see above to my family and future in-laws. But if I’m being honest, I’m also keeping more than a few of these for myself. Let me tell you, there’s something so liberating and beautiful about having these photos off of my iPhone and into beautiful frames around my apartment! I find myself pausing and smiling all too often. With the lovely quality, low price-tag and incredibly convenient process of ordering through Walmart, I am so excited to have beautiful gifts for my in-laws this Christmas as well as special memories to fill my own apartment! 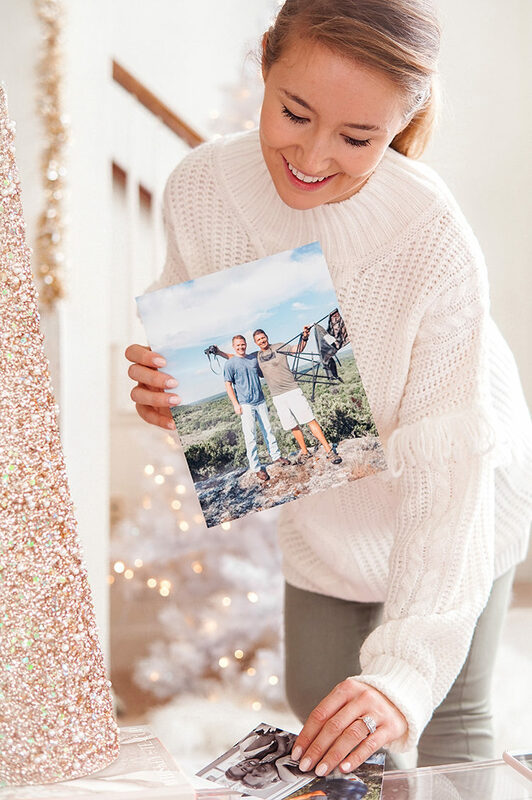 So if you’re looking for a meaningful (and easy) Christmas gift this season, or are simply tired of storing all of your photos on your phone, head to Walmart’s photo page to order your own. Trust me, the end result is a lot of joy and a whole lot of nostalgia. Than you, Walmart, for sponsoring this post. While I will continue taking on fun projects that I feel are a perfect fit and make this blog even possible, you’ll always find plenty of organic, non-sponsored content here. Thanks so much for reading!